There is in human affairs a reason for everything we see, although not always reason in everything. It is the part of the historian to seek in the archives of a nation the reasons for the facts of common experience and observation, it is the part of the philosopher to moralize upon antecedent causes and present results. Neither of these positions is taken up by the author of this little book. He merely, as a rule, gives the picture of Dutch life now to be seen in the Netherlands, and in all things tries to be scrupulously fair to a people renowned for their kindness and courtesy to the stranger in their midst. 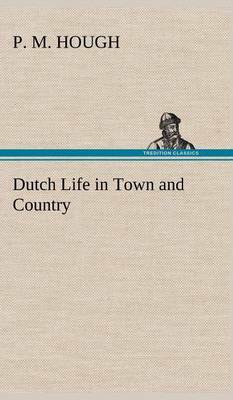 Buy Dutch Life in Town and Country (Illustrated Edition) (Dodo Press) by P M Hough from Australia's Online Independent Bookstore, Boomerang Books.